Attach 4 x 6 photos, keepsakes, or mini-pages on top of your scrapbook pages. Scrapbooking is all about telling a story. 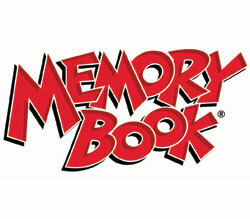 These Memory Book items allow you to tell a mini story on each individual scrapbook page. Use the Flip Pockets to show many images of one event that took place on your vacation, for example. Attach 4 x 6 photos, keepsakes, or mini-pages on top of your scrapbook pages. Use them individually or in combination to create a timeline or story that concludes on your main scrapbook page. Friends and family will flip over your new creations.